The wait time for getting on the endangered species list is on average about 12 years, six times longer than it should be, a new analysis shows. Scientists say the delays could lead to less global biodiversity. 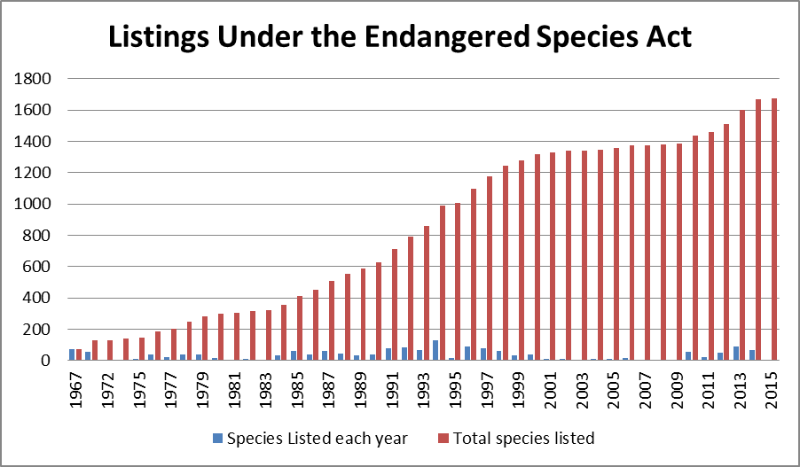 The US Congress enacted the Endangered Species Act (ESA) in 1973. To receive protection, a species must first be listed as endangered or threatened in a process that is administered by the US Fish and Wildlife Service. In 1982 Congress passed an amendment stating a two-year timeline for the process, which starts with submission of a petition and ends with a final rule in the Federal Register. Findings are based on an analysis of 1,338 species listed for protection under the ESA between January 1974 and October 2014. Researchers analyzed the amount of time it took each listed species to move through the listing process. Researchers also analyzed whether a species grouping influenced how quickly or slowly it moved through the process. They found that vertebrates, including reptiles, fish, birds, amphibians, and mammals had a significantly shorter wait time than did invertebrates and flowering plants. According to the authors, the finding suggests a bias in the listing process that contradicts the policies of the ESA. The delays in listing have real world consequences for endangered species. In the study, the authors cite previous studies that document species that went extinct due to a delay in the process. Likewise, a species that gets listed quickly and has a conservation plan put in place to protect it may have a chance to even bounce back. For example, the island night lizard was listed in 1.19 years, whereas the prairie fringed orchid took 14.7 years to be listed. The lizard has since recovered and been removed from endangered status; the orchid is still considered threatened. The study appears in the journal Biological Conservation and was supported in part by a University of Missouri Life Sciences Fellowship and by the Institute for Bird Populations.